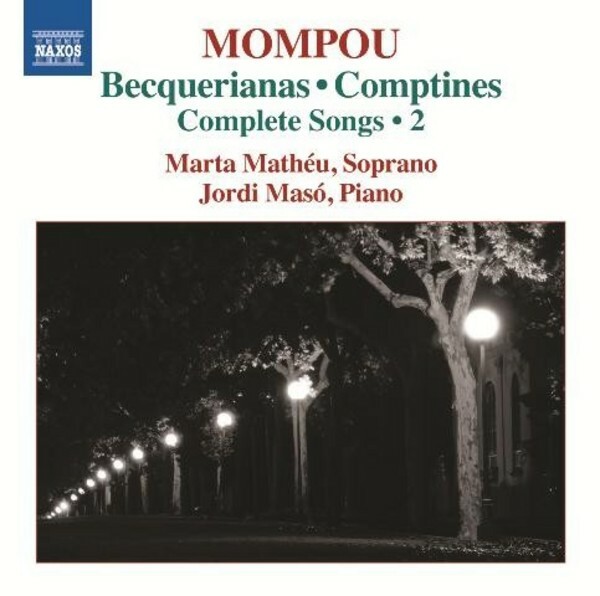 This second and final volume of Frederic Mompou’s complete songs features the cycle Becquerianas, one of his most ambitious and also one of his most diverse, with its unprecedented fusion of Andalusian folk-music, virtuosic piano writing and vocal opulence. Comptines, by comparison, are joyful and simple traditional children’s counting rhymes. Also included are five recently discovered songs: Et sento que véns, Ets l’infinit, El testament d’Amèlia, Ave María and El viaje definitivo. Mompou is best remembered for his series of beautiful solo piano works composed from the 1920s until the 1980s. He died in 1987.